Ivan Kayima is the CEO of Spiela, a platform which makes it easier for ethnic minorities to network and climb on to the career ladder. He tells us about how family tragedy pushed him towards founding Spiela and how you can use the network to get real advice on how to succeed in your chose field. 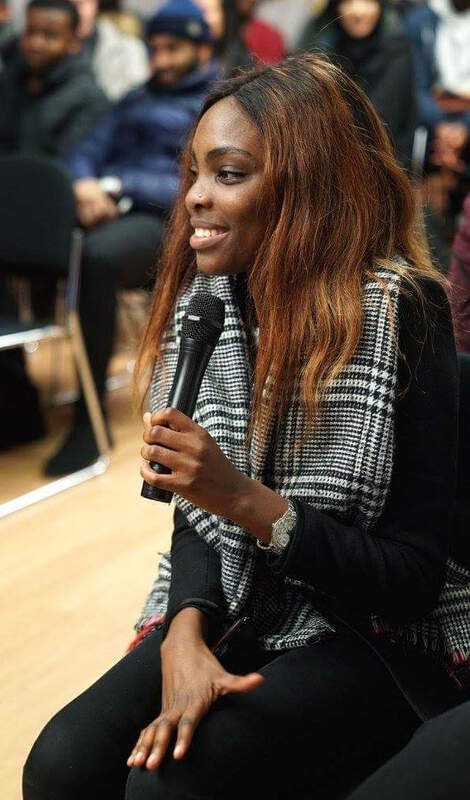 Spiela is a collaborative network empowering young people as a whole, but with a particular mission to engage those from minority backgrounds and ensure that they have a safe and supportive space in which to engage and network with others. Spiela facilitates networking and conversation covering a diverse range of topics including business and employment, education, faith, culture and politics. We provide a Q&A side which gives us a more collaborative and educational aspect to what we do. We have had celebrities, activists, authors, politicans and many more speak directly with the Spiela community. We believe everyone is influential in some way. This is our main feature and really what represents Spiela; real-life influencers using our platform to share, motivate, engage and inspire other people. The main goal is to create a product that provides opportunities through collaboration whilst simultaneously providing more information on various topics. We believe everyone is influential in some way so anyone is allowed to join, contribute and share their view on the platform for the world to see. I was born and raised in Lewisham. My mother was both born and raised in Kampala and father was born and raised in Busudju, Uganda. My background was a good one up until I was eight years old when I lost my father. Then at 13, I lost my brother. My life went into a bit of a tailspin. Getting arrested at 16 was the wake-up call I needed to turn my life around for the better. I became focused, went to 6th form and graduated first class honours from Portsmouth University. While going through that I got more in touch with my roots. Going back to Uganda more often to see my JaJa (Ugandan for grandmother) and going to see my father’s grave in his home village of Busudju was closure. My favourite Ugandan dish is rolex and pilau rice and favourite place there is Munyonyo, on the northern shores of Lake Victoria. Ugandan culture is very relaxed and I do believe that is where my easy-going attitude comes from. At the same time, I learnt that I come from a tribe full of noblemen so this makes me more focused to follow their footsteps. How can people get the most from Spiela? Within four years, the average Spiela user will have lots of support and backing on the company platform from people all around the world. For those who want to connect with more people, we run workshops and events which fosters positive collaboration. Spiela also has a vision where users can create jobs for themselves on the platform where users can go from being a novice to an expert in a particular field and pass on that knowledge to another less fortunate. This will be achieved by exposing them to what is going on in their field of interest and the people who have the experience in it. If you are interested in acting – I have actors such as Bunmi Mojeku (from Eastenders and Misfits) who gives practical advice on acting and runs a production studio called BAM which looks to take on young talent. For those who want to connect with more people, we run workshops and events which fosters positive collaboration. We have had english teachers who are happy to look over young writers written pieces and provide valuable feedback. The platform aims to cater to all needs with good advice and positive collaborations based on mutual fields of interest. What’s next for you? And for Spiela? The next step for me is to grow Spiela through events, speaker events and diving into new side ventures to benefit communities around London, then the UK. Spiela aims to become a brand that all young people can turn to whenever they need support and help with anything. We believe that this will bridge the broken social gap in our society and push the current and future generations forward, starting in London during 2017.